Jaguar Land Rover North America is recalling 1,917 model year 2017 Land Rover Range Rovers, Range Rover Sports, and Discoverys. The fuel gauge on these vehicles may indicate that the fuel level is low and illuminate the warning lamp, when the fuel tank actually has more fuel. The engine management software may also cut off the engine when the vehicle has traveled approximately 17 more miles. An engine shut-off can cause loss of power brake assistance, and an engine stall would cause a loss of drive power. Both scenarios can increase the risk of a crash. Land Rover will notify owners, and dealers will install a software update to correct the fuel level reading, free of charge. The recall is expected to begin July 16, 2018. 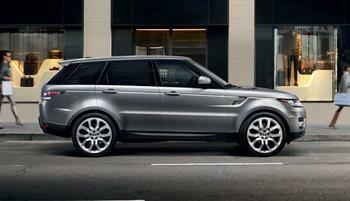 Owners may Land Rover customer service at 1-800-637-6837. Land Rover's number for this recall is N206.